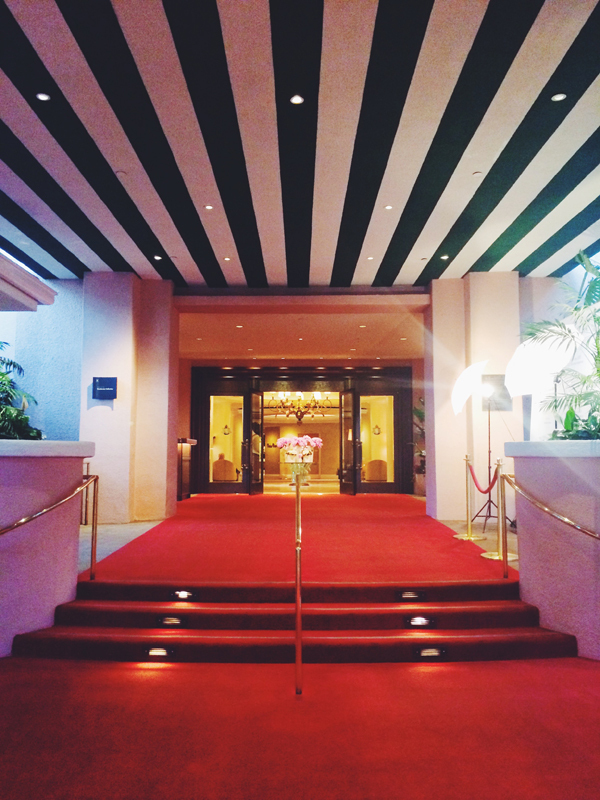 Exploring LA: Virginia Robinson Estate and the Beverly Hills Hotel. 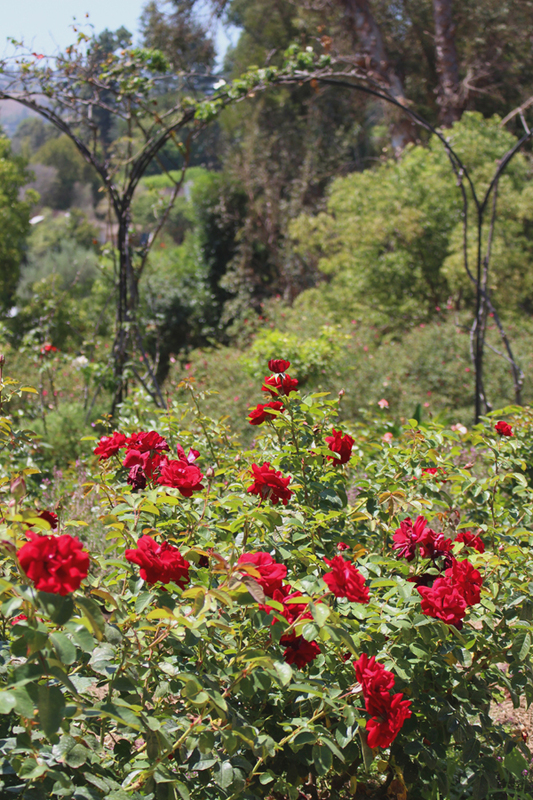 For the last of my Exploring LA adventures, I returned to the familiar and visited two of my favorite spots in Beverly Hills, the Virginia Robinson Estate and the Beverly Hills Hotel, which are literally about a 45-second drive apart (which we did drive, because nobody walks in LA, least of all me). Los Angeles is home to many palatial, museum-worthy homes, but they're all busy being lived in. Totes inconsiderate. 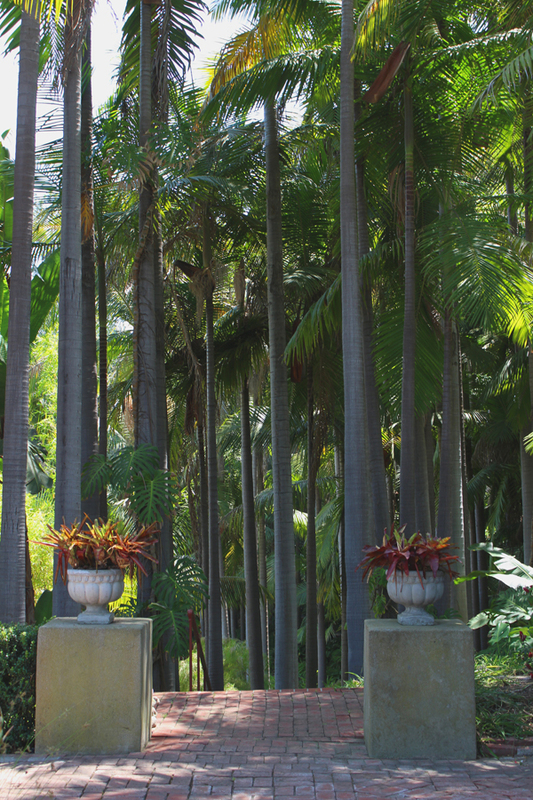 This is a rare estate that has been opened to the public, located in the hills of Beverly Hills (that only *sounds* redundant--BH is half hilly, half flat). It's a beautiful home, with stunning grounds--the gardens are the real attraction here, actually--but I most enjoyed hearing the stories of Virginia Robinson, the wife of the heir to the Robinson fortune (of the Robinson's-May department store), and the eventual chairwoman of the company. One anecdote I particularly loved was when Virginia, who was otherwise always driven by her chauffeur, took it upon herself to drive to a meeting at the department store. She didn't actually know how to drive, and she couldn't reach the pedals anyway (I can relate--why are pedals so far away??). Not a problem though--like I said, her house was in the hills, and the store was down in the flatter area, so she just needed to coast her way down. She did exactly that, and when she arrived at the store, not knowing how/able to stop the car, she simply allowed her very expensive car to scrape along the side of the store until it eventually screeched to a stop, allowing her to hop out and attend her meeting. 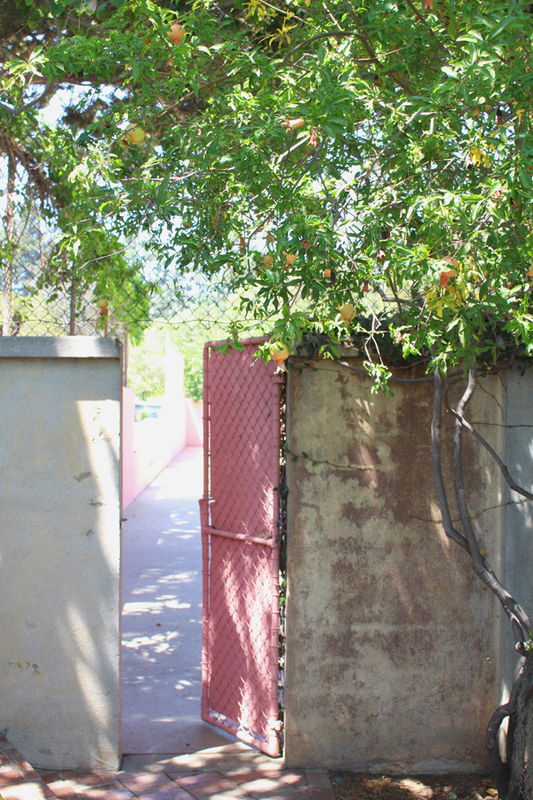 ^ When a pink door beckons, you go through it, especially when it opens onto a pink tennis court. After touring the estate, we headed down to the Beverly Hills Hotel, where we had salads and milkshakes (to maintain balance in the world) at the hotel's Fountain Coffee Room, one of my favorite not-so-secret gems in BH. I've always thought of the little cafe as the perfect girls' spot for breakfast or lunch (although admittedly I went with Jordan, and he had lunched here with his brother earlier in the summer--we're blasting through gender norms left and right #heforshe). And those are the end of my LA adventures, at least for now. As I alluded to in the previous post, our current plan is to move back to California next year, where Jordan will be working with a law firm in Orange County and where I will continue my LA frolicking!